This month we are pleased to feature the works of Erika Belavy. A self-taught photographer and the founder of Riot Art, Erika began communicating through art in her childhood. It wasn't until she moved to Paris, France, nearly a decade ago, that her passion for photography expanded. As a strong believer in the power of art and the internet to raise consciousness in the world, Erika has dedicated herself entirely to this field. 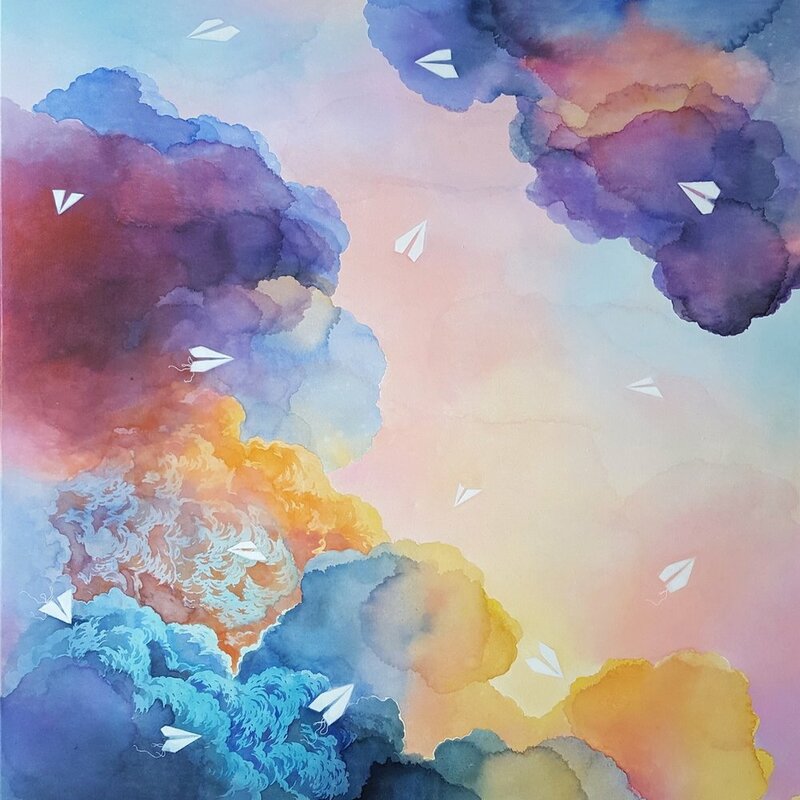 Intersecting travel, nature and spirituality as her sources of inspiration, Erika aims to explore the duality of solitude and inter-connectedness in her work, questioning the collective ego and individualist mindset. Her work is currently being displayed in Paris, France. If you're in town check it out at 23 rue du Rocher, 75008. Bold colours with Renata Kacova!